RIM Sues Samsung over BlackJack | BlackBerry Blast! Research in Motion has filed a lawsuit against Samsung in a United States federal court. The lawsuit claims that one of Samsung's latest smartphone products, the Samsung BlackJack, violates a trademark held by RIM. 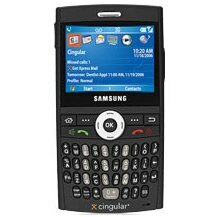 RIM believes that the name of the Samsung Blackjack is too close to the name it has trademarked for its line of smartphones, called the BlackBerry. RIM believes the BlackJack name "constitutes false designation of origin, unfair competition, and trademark dilution". It is interesting that the BlackJack has a very similar form factor to BlackBerry models and performs similar functions.